Ave Maria Fine Art Studio: "Of Fra Angelico's 'The Annunciation' "
"Of Fra Angelico's 'The Annunciation' " 22.5" x 30.5"
... no impasto on this one. I wish you could see how the layers of glazing appear in real life... a photo just can't convey that translucence. 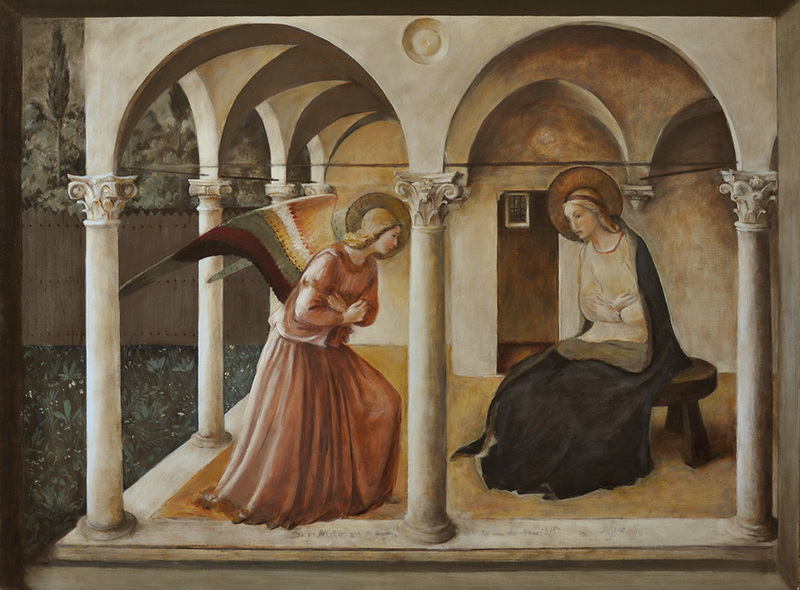 Though Fra Angelico painted many versions of "The Annunciation", he painted this particular composition sometime between 1438 to 1445. He was the foremost artist of his time... even so, he remained a simple, holy man.